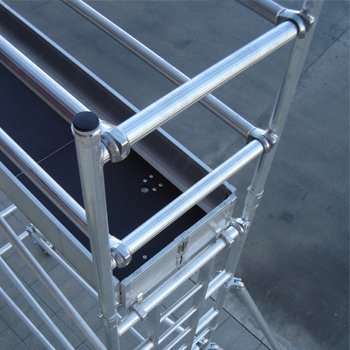 Our Aluminum Rolling Tower ALU 50 is manufactured with a 50 mm tube. It has a significant load-bearing capacity and low weight, and allows for easy handling. The simple and agile assembly of its components is based on a fast-locking system, avoiding the need for tools. 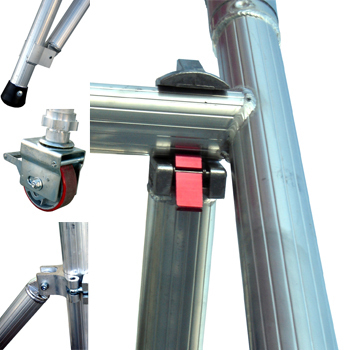 Additionally, the stabilizers allow work to be carried out at any height, ensuring the safety of the user at all times. 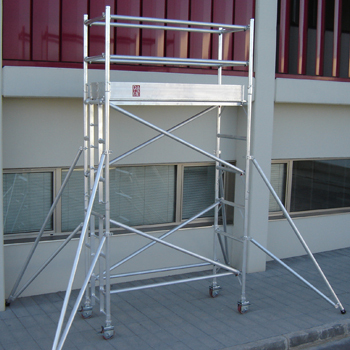 The ALU 50 Aluminum Rolling Tower is manufactured according to European Standard EN 1004. Its Instruction Manual meets European Standard EN 1298.